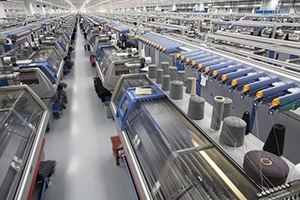 The entire range of Spinning Machinery from reputed manufacturers right from Blow Rooms to Winding and TFO of different spun yarn mechanisms such as Ring, Open-End, and Air-Jet. 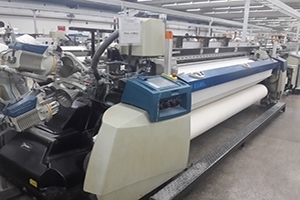 Shuttle and Shuttle-less weaving loom that is used for various kinds of woven fabric formations, including power looms such as Dobby, Jacquard, and Circular. 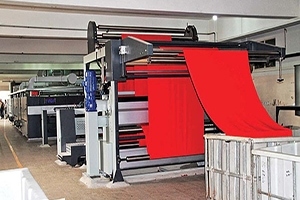 Variety of Dyeing, Finishing, Printing textile machinery with the guaranteed quality output from well-reputed brands that are ready to be installed and used on your factory premises. 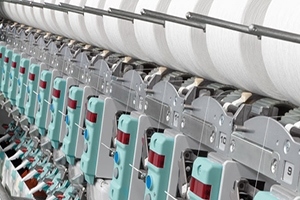 Top notch performing textile machinery apart from spinning, weaving, dyeing, finishing, printing including machinery parts, accessories, and complete textile mills. The only company to have the in-house capability to source, ship, install, commission, and service the complete range of textile machinery. The expertise gained over the years enables us to source and offer machines customized to the specific needs of our customer. The machines are chosen after understanding the unique situations of the individual customer. The machines are then inspected, dismantled, packed, shipped, installed and commissioned. The complete package earned us the nickname, suppliers of “experienced machines”.